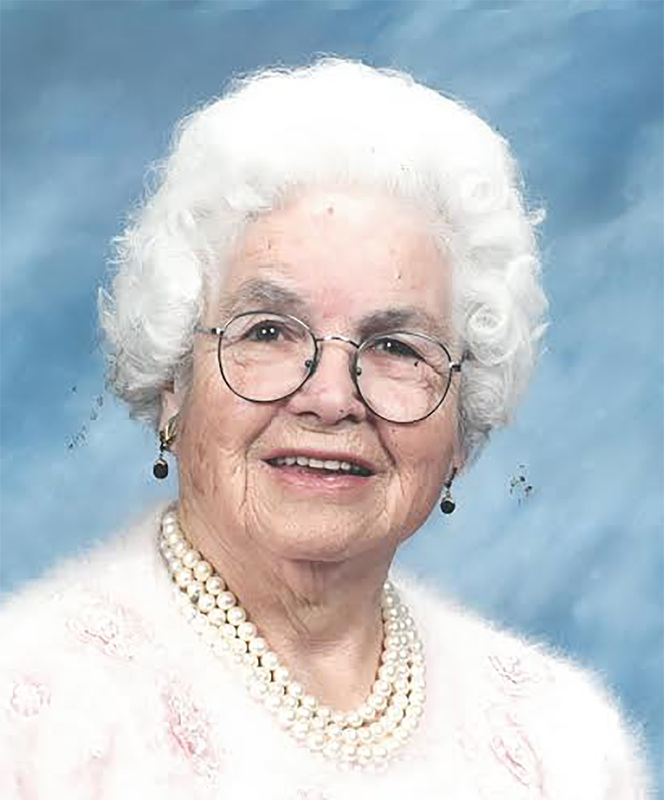 AUBURN — Alice H. Piper, 99, of 440 Minot Avenue, Auburn, died on Wednesday, June 14, at the Hospice House of Androscoggin with her loving family by her side following a short illness. She was born in Searsmont on September 17, 1917, the daughter of the late Irving and Inez (Cushman) Hall. As an infant, the family moved to Belfast, where she received her education and graduated from Crosby High School, Class of 1934. After graduation, she was a secretary for the Belfast and Moosehead Lake Railroad. On February 20, 1937, she married Maynard Piper and moved to Auburn, Maine. In 1952, she worked at Bates College as secretary to the president. Later Alice worked for the Law Office of Trafton, Scales and Smith until her retirement in 1978. She enjoyed knitting, crocheting, painting, writing poetry and taking road trips with her husband, Maynard. She was a 73-year member of the Court Street Baptist Church, where she was a deaconess, Sunday school teacher and circle leader, a volunteer at the Clothes Closet and an active member of the Androscoggin County Women’s Republican Party. She is survived by two sons, David Piper and his wife, Kathleen, of Skaneateles, N.Y. and Kenneth Piper and his wife, Susie, of Berea, Ky.; four grandchildren, Cynthia Sanford, Brian and Michael Piper and Jill Girzadas; nine great-grandchildren; and several nieces and nephews. She was predeceased by her husband, Maynard, who died in 2002; and her siblings Wilfred, Charles, Milton, Ruth, Edith and Marjorie.